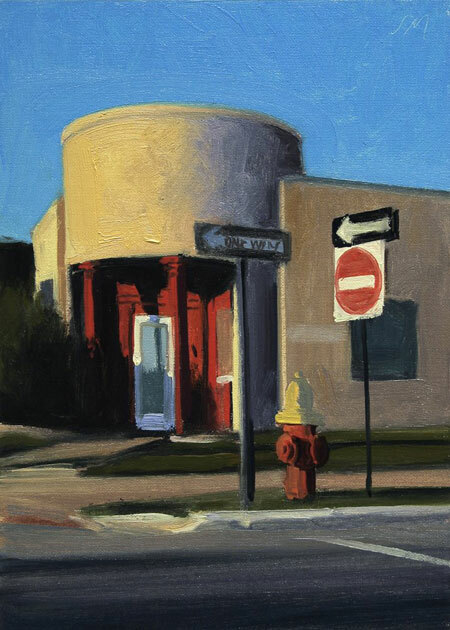 Stephen Magsig has an amazing “painting a day” blog called Postcards from Detroit. You may have guessed from that title that the bulk of his work is inspired by the landscape of Detroit Michigan, which has, like many American cities, an abundance of fantastic architecture, though Detroit has been unfortunately suffering more than it’s share of hardship in the past few decades and many great buildings and neighborhoods are now in a state of decay. It’s therefore nice to see Magsig’s work documenting the city. Plus, they’re just great paintings. Bonus! You can now purchase his work in book form! This entry was posted on Friday, January 9th, 2009 at 8:42 am	and is filed under Oils. You can follow any responses to this entry through the RSS 2.0 feed. You can leave a response, or trackback from your own site.